Sometimes, it might seem a bit overwhelming when you look to buy recreational property. The process can seem more complicated than buying a house, as you consider everything from easements to road access to timber values. But take comfort in a simple fact: There’s no such thing as a dumb question. So how do you come up with a list of good questions? A blog post on Land.com provides a solid list of questions to think about. As a few examples: Does the property have clear title? How do I access the property? What are the financing alternatives for land? How is it zoned? Are there hunting leases on the property? What structures or improvements are included, such as fencing or outbuildings? In addition to basic questions about the status of the property, it’s a good idea to also come up with a list of questions that might seem, well, pushy. But they aren’t. For example, ask about the neighbors. Do they take care of their property in terms of wildlife management? Have there ever been disagreements over access or other issues? Then, find out why the seller is selling the property, and determine the factors that play into the price, such as timber values, location or water features. Have your broker explain why this property fits your needs vs. other properties. And learn everything you can about things to do on the property and around it. Ask detailed questions about the quality of wildlife, and about the quality of water and food sources. Find out about recreational opportunities nearby, whether it’s public land for hunting, or rivers or lakes for water recreation. Finally, don’t be shy about asking about the timber on the property. Work with the broker to determine its value, and start thinking about whether you might want to do selective harvesting, either for cash flow or to enhance the property for wildlife or aesthetics. PotlatchDeltic Preferred Brokers are happy to answer any questions you have, so don’t be shy. Call, email or make an appointment with one today and you could ‘boots on the ground’ walking on your new property before the summer is over! 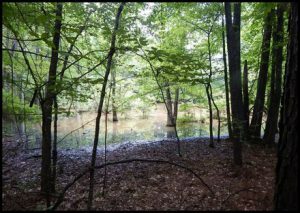 This entry was posted in Land Buying Tips, Minnesota, Mississippi, PotlatchDeltic and tagged #BuyRecreationalLand, #LandBuyingTips, #PotlatchDelticLand, buying hunting land, Close Converse, LandRadar.com, Rod Osterloh, Tom Smith, Tom Smith Land and Homes. Bookmark the permalink.